At the recently concluded Kejohanan Olahraga Terbuka Selangor ke 72 or Selangor Open 2011, 23-strong Team Singapore athletes were present at the Malaysian state Championship. Out of the total 16 events our local athletes took part, Team Singapore managed to haul back 17 medals in total, of which, 5 are gold, 5 silver and 7 bronzes. The highlighted performances for the meet are Scott Wong men shot put, Kenneth Khoo men 400m and Stefan Tseng men triple jump. 21-year-old Scott Wong after receiving his training overseas has improved by leap and bounds. After an impressive showing in Australia meets, the UK bound medical student tossed 15.71 meters in Selangor, and missed the SEA Games qualifying mark by just 4 centimeters at 15.75 meters. His previous best was 15.50 meters achieved recently at the Singapore U23 / Open Championship. He grabbed gold in the 7.26kg shot put men event. Quarter-miler Kenneth Khoo continues his excellent form, once again clocking a sub-49 seconds for the one-lap. He lowered his season-best of 48.78 seconds established at Malacca Open in May, to 48.62 seconds. Chasing the favorite, a Qatari 400m specialist in the finals, the 29-year-old finished second in the scorching KL heat. 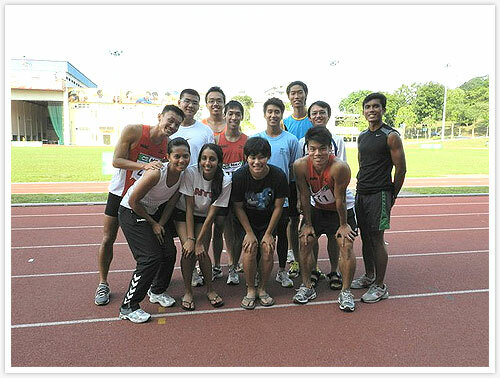 Singapore Sports School alumni Stefan Tseng took another crack at SEA Games qualifying bid, but could only muster a 15.65 meters effort. The national serviceman however had a better jumping result this season at 15.87 meters achieved during the Singapore Open / U23 Championship. The 21-year-old is now within 3 per cent of the men triple jump men SEA Games qualifying mark of 16.02 meters.